Summary: Feeding behavior is exquisitely regulated by homeostatic and hedonic neural substrates that integrate energy demand as well as the reinforcing and rewarding aspects of food. Understanding the net contribution of homeostatic and reward-driven feeding has become critical because of the ubiquitous source of energy-dense foods and the consequent obesity epidemic. Hypothalamic agouti-related peptide-secreting neurons (AgRP neurons) provide the primary orexigenic drive of homeostatic feeding. Using models of neuronal inhibition or ablation, we demonstrate that the feeding response to a fast ghrelin or serotonin receptor agonist relies on AgRP neurons. However, when palatable food is provided, AgRP neurons are dispensable for an appropriate feeding response. 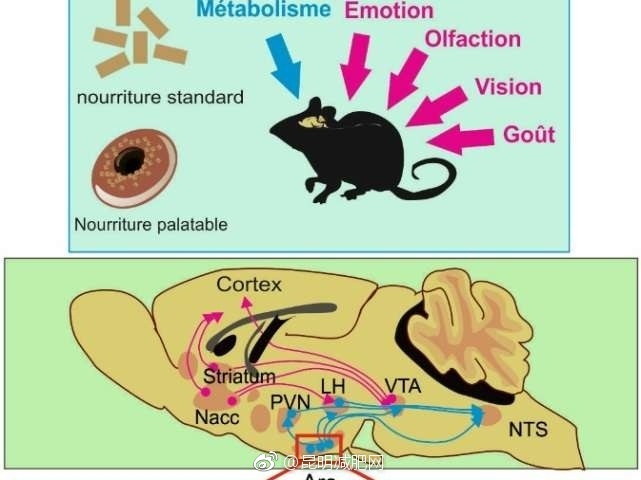 In addition, AgRP-ablated mice present exacerbated stress-induced anorexia and palatable food intake—a hallmark of comfort feeding. These results suggest that, when AgRP neuron activity is impaired, neural circuits sensitive to emotion and stress are engaged and modulated by food palatability and dopamine signaling.